Carol Fonda Gilgore is the firm’s paralegal extraordinaire. 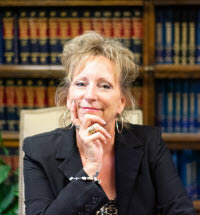 Carol has over 24 years of experience in the legal field. Although Carol is knowledgeable in many areas of the law, her passion is in the area of estate and trust administration. Carol enjoys working with people and is ready, willing and able to tackle any situation that may arise. She is calm, cool and collected under pressure and is dedicated to obtaining the best results possible for our clients.